About 9 years ago, I left the Philippines to come live in Texas. Being of Indian descent, this is not something that is normally done. Indian girls are supposed to get married, have children, and live happily ever after. But after a traumatic failed marriage, I knew I had to change things. I knew I had to make a life for myself and not rely on marriage alone to make me a complete person. Fast forward 9 years later, and I feel like I have done well for myself. I am a certified teacher, small business owner, wife, mom, and now, newbie blogger. And while I love my life, I miss some things about home. I miss the people, the food, and most of all, I miss the traditions. 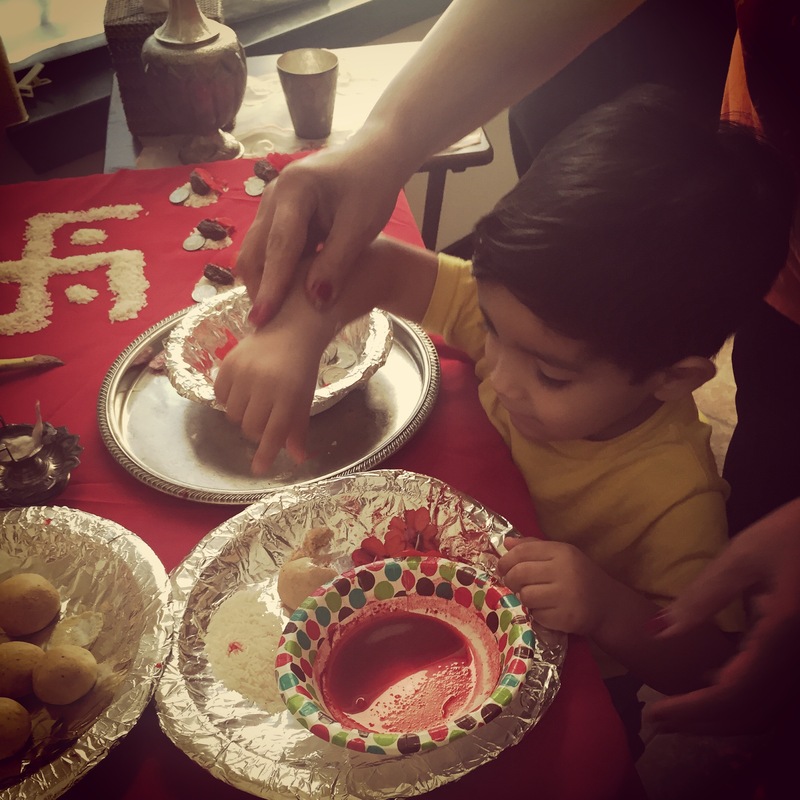 Growing up, my sister and I were always immersed in activities that taught us more about our Indian culture and I started to feel like my son was missing out on that. I didn’t want him to grow up not knowing part of his heritage. Lucky for me, my parents and sister decided to make the move over here. If there was anyone who could help me show Gavin some of our culture, it was his Nani (Indian for grandma). I was so glad Gavin got the chance to learn a little something about his culture and it just makes me even more determined to immerse him in more activities that he can learn from. Here he is with his Nani, doing his part in the pooja (prayer). Next Post Starting Fresh in 2016!